The fabulous follow-up to Fantastically Great Women Who Changed the World. Meet even more wondrous women! OK, we all know that in the past women didn’t have as many rights as men. But that doesn’t mean they all spent their lives knitting by the fire. Nope: the women in this book made their mark on history by doing bold, brave, incredible things! There’s Harriet Tubman, who rescued slaves on the Underground Railroad. There’s author Mary Shelley, who shook the world with horror classic Frankenstein. Or how about Ada Lovelace, the maths genius who created the first computer program? Even more proof that women totally rock! 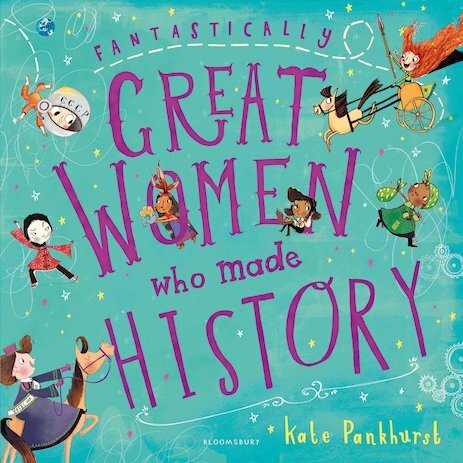 Featured women: Elizabeth Blackwell, Qiu Jin, Boudicca, Flora Drummond, Pocahontas, Noor Inayat Khan, Harriet Tubman, Valentina Tereshkova, Ada Lovelace, Sayyida al-Hurra, Hatshepsut, Josephine Baker, Mary Wollstonecraft, Mary Shelley.